With this series, I desire to study and recreate my favorite levels. Inspired by the work of Michael Barclay and Ovidiu Mantoc in learning by recreating, the following is the first in a series of studies that I hope to learn and grow from. 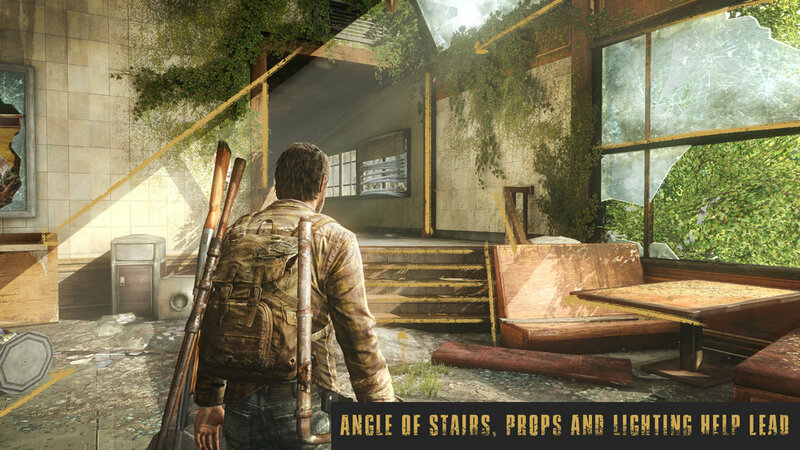 The following summary and various terminology is based on a variety of interviews, documentaries and lectures by Peter Field, Emilia Schatz, Neil Druckmann, Richard Cambier, Bruce Straley, Kurt Margenau and the amazing team at Naughty Dog. All credit the team, past and present, at Naughty Dog. As a final warning, story and ending spoilers ahead. These beats set the structure for the level and help define what the player is feeling moment to moment. Upon dissecting this level’s beats, you realize the depth of storytelling involved as we grow closer to the conclusion. 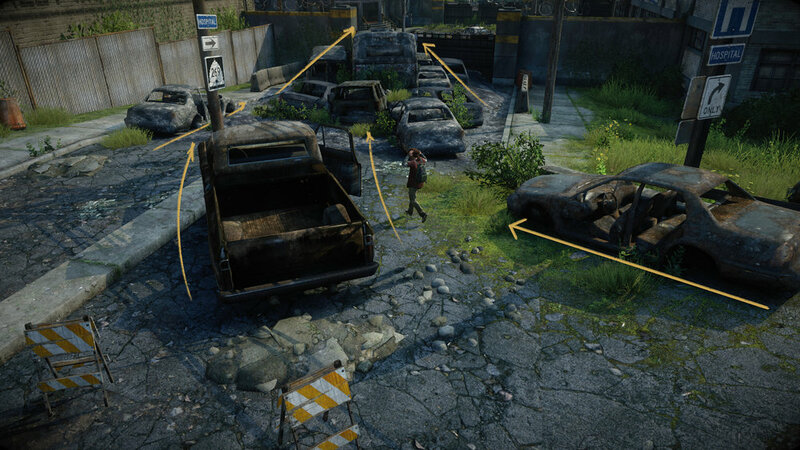 This map not only explores the next chapter of Ellie and Joel’s relationship—beat by beat—but crafts much of the experience to be playable through mechanics and therein keeping the player connected to what impending events may be next. 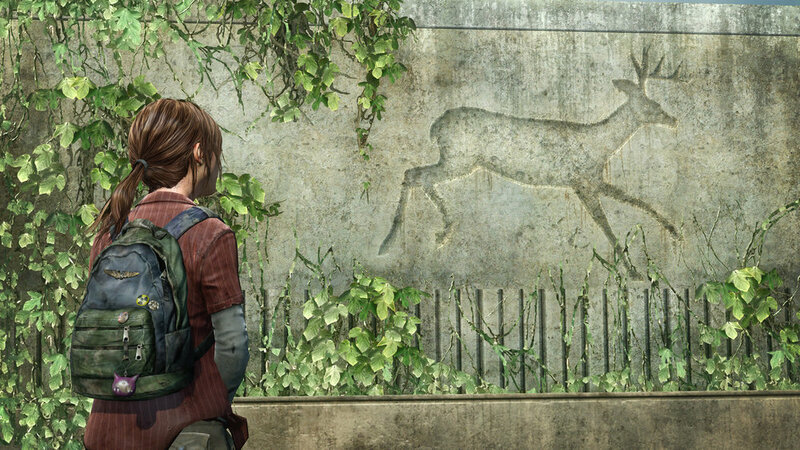 With a clever use of sound editing, performances, environment art, animation and camera work, we feel Ellie “zoning” out as she stares beyond the deer on the wall. Joel calls and regains her focus for just a moment to keep her moving ahead as the two descend upon Salt Lake City and the hopeful location of the Fireflies. 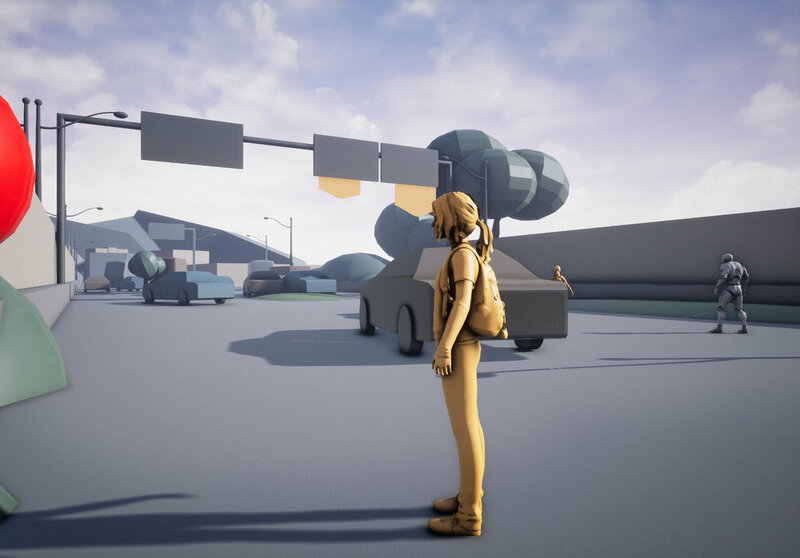 The player is led forward by the linear highway with narrative moments given to interact with Ellie. 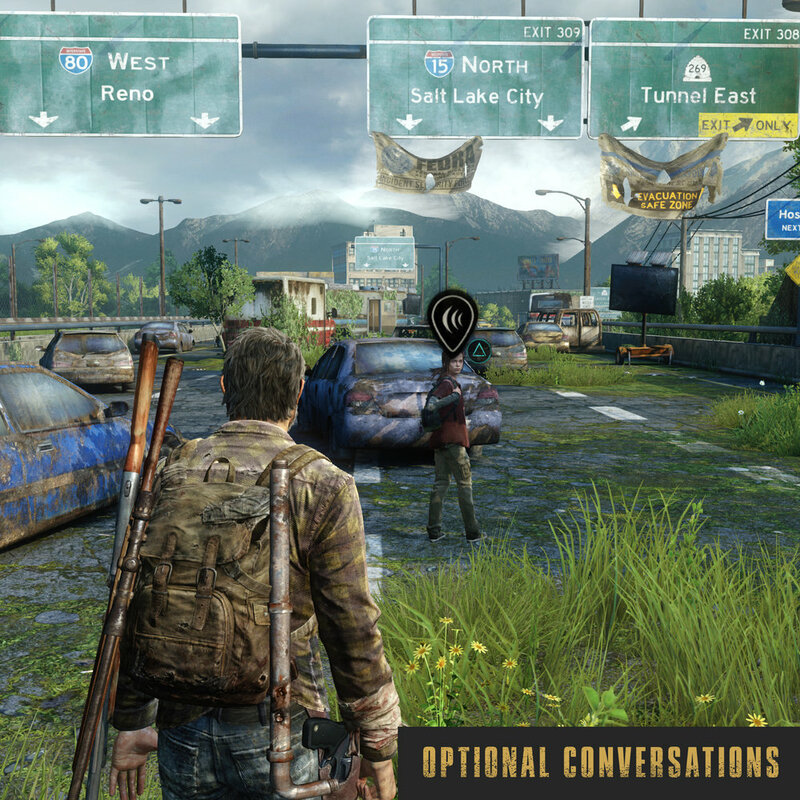 Through the dialogue mechanic, the player is given the ability to speak with Ellie to try and understand what she is thinking and going through. We see Joel try to inject conversation and life back into Ellie. Where early in the game Joel may have been cold to Ellie, we can see him here try to be empathetic and bring hope back into Ellie—telling her that someday soon he will teach her to play guitar. These are deep, impactful moments that certainly I will never forget. 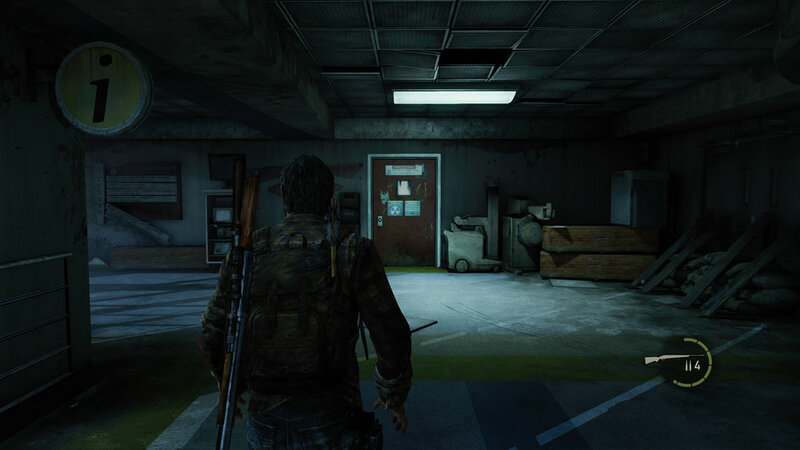 The vulnerability of Joel throughout this level is reflected in the openness of the spaces throughout this level. 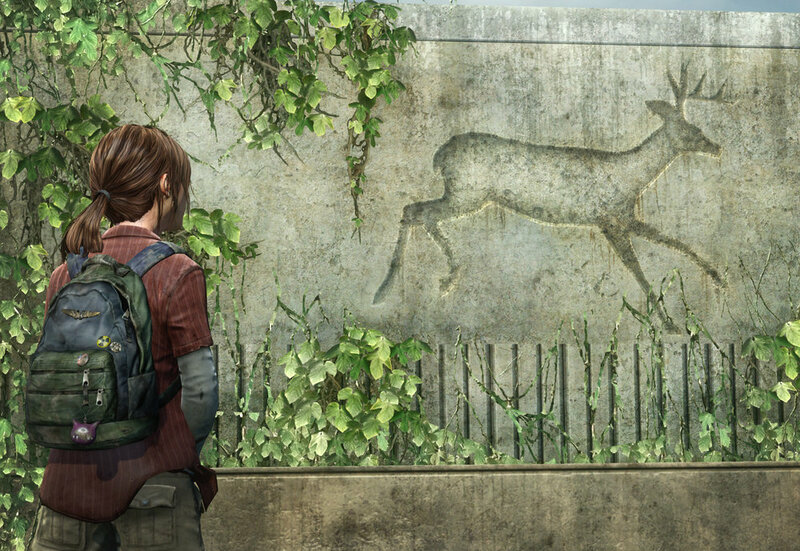 Like Spring itself, this level is a point of change for both Ellie and Joel. The level is a great example of leading the player intuitively through shapes and compositions. In her CG Master Academy course Level Design for Games, Emilia Schatz touches on the push and pull of a space. The angle of the vehicles, and framing created by various buildings. The freeway itself, when closely examined, is nicely rotated 10-15 degrees compared to side streets, buildings and bus station. This level also exhibits some aspects of wide-linearity along the freeway and underpass. 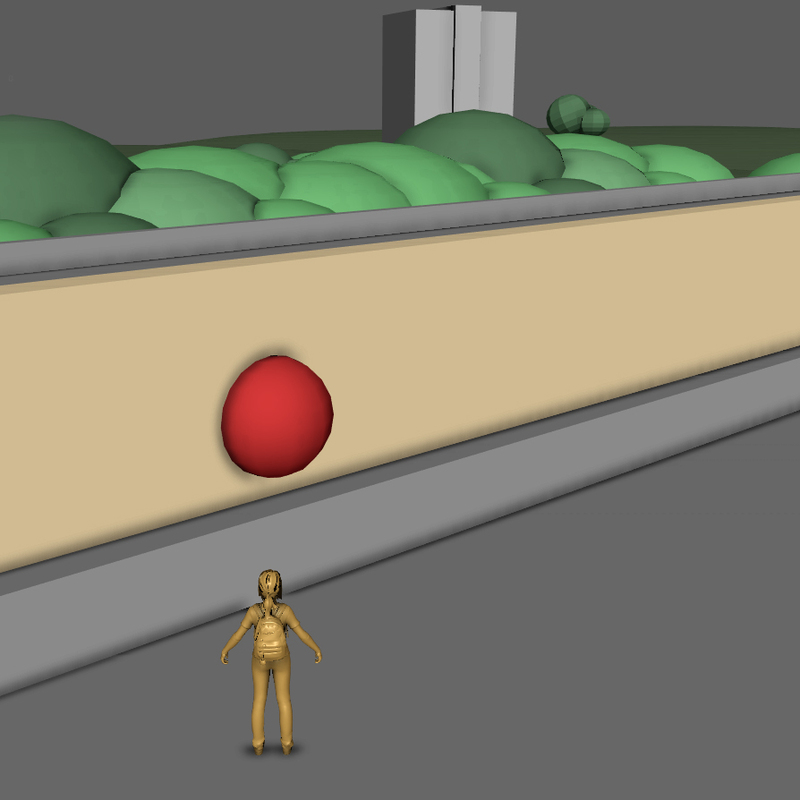 As shown below, the design allows the player to find exploratory spaces while being flowed back into the intended path. The player is rewarded appropriately for exploring the space. As we come off the freeway, we find more space for exploration but, more importantly, the shapes begin to frame the goal for this chapter. 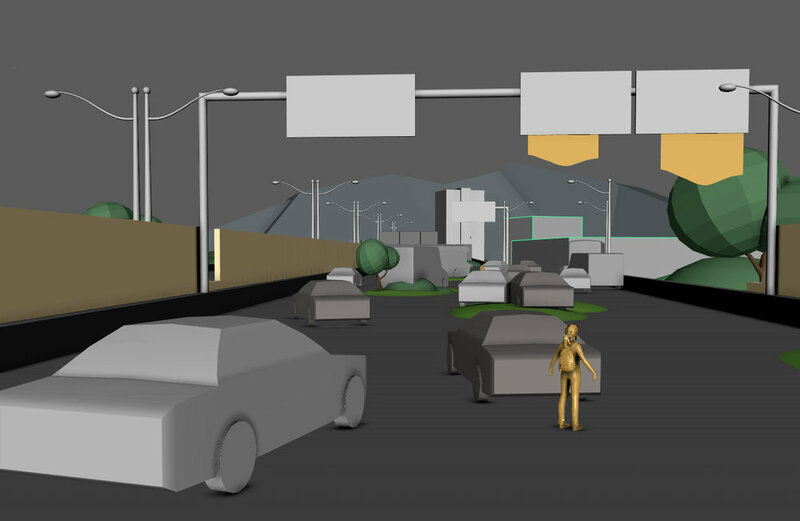 Everything is purposefully placed by the designers, environment art and lighting artists. In following video, Peter Field discusses working with artists on the composition and framing entering the Bus Station. Peter Field discusses the composition and framing entering the Bus Station. This level eventually leads to one of my favorite parts within the entire game. As Ellie and Joel make their way off the freeway and into an abandoned bus station we see Ellie completely detached from the present. Using core mechanics and story, we experience this beautiful moment where the rhythm of gameplay we have come to know up to this point is completely subverted. 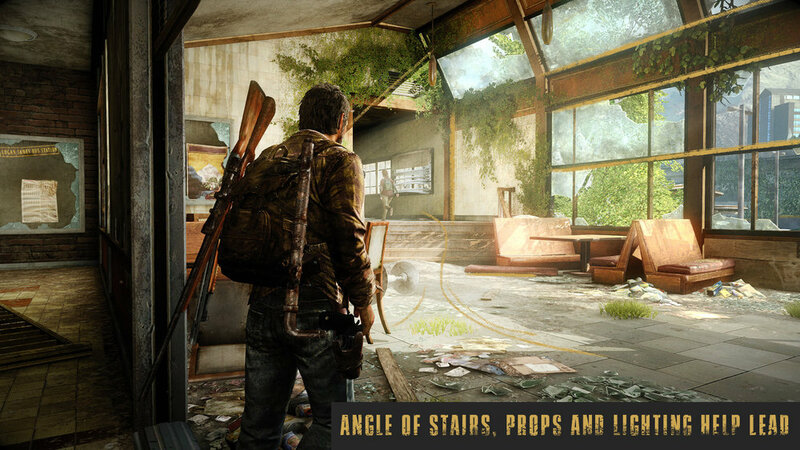 For a deeper dive into building rhythms in gameplay please check out Steve Gaynor’s fantastic podcast Tone Control w/ Episode 22 featuring Last of Us Co-Creator Bruce Straley. Joel is trying to make his way forward through the bus station and into St. Mary’s Hospital, as framed in the previous space. 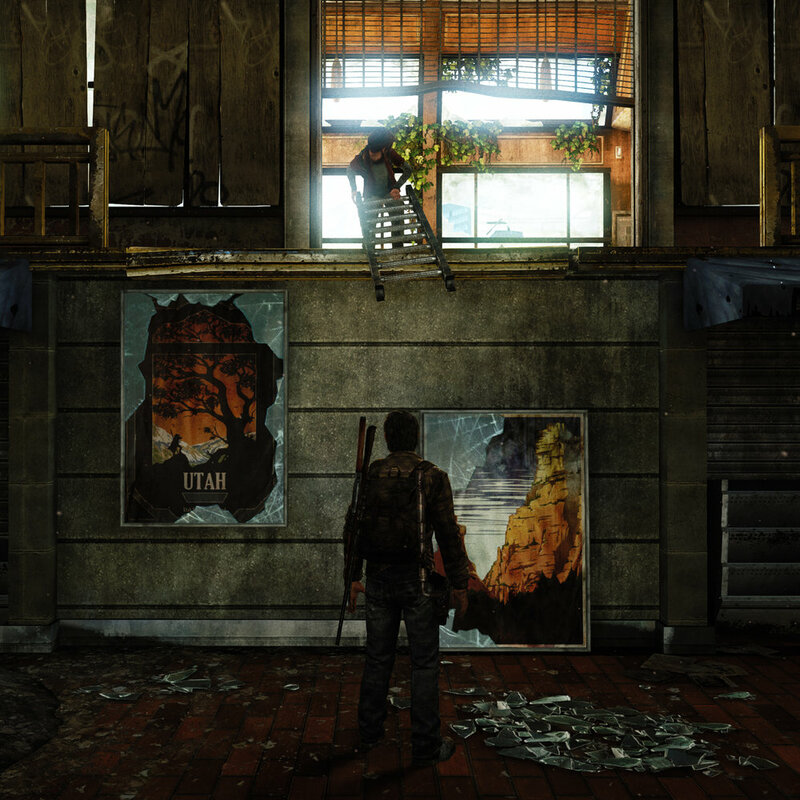 He approaches a ladder with a common prompt the player has seen repeatedly across the game to boost Ellie. However, this time, Ellie does not come. The camera turns to show Ellie sitting at a nearby bench—her mind still processing all that had happened during Winter. 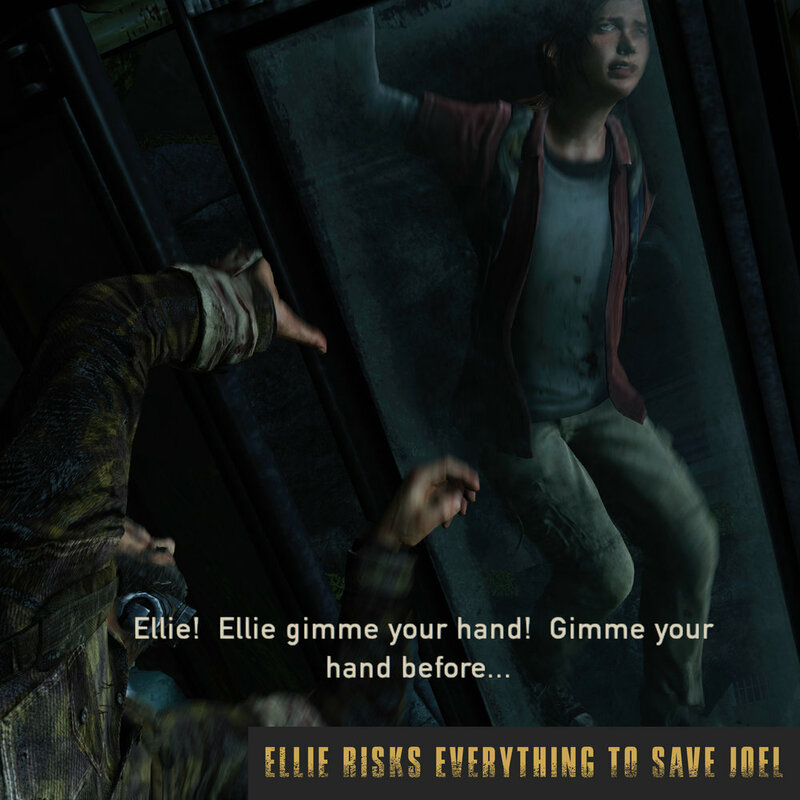 With a small verbal nudge, Ellie slowly makes her way to be boosted up by Joel. Suddenly, she sees something on the second level and drops the ladder to Joel’s feet. The player is left having to pick up and place the ladder themselves, then hurriedly find where Ellie has ran off to—confusion, worry and curiosity all fall over Joel and the player. — Peter Field, Designer on "Spring"
Neil Druckmann, Ashley Johnson and Troy Baker discuss this scene of using narrative and mechanics together. As the player makes their way up the ladder to search out Ellie, we see her at the end of the room. In a reversal of roles, Ellie now urges us to come follow her. There is a spark of curiosity that pulls both Joel and the player to eagerly follow. The light beams brightly now. Throughout this space we see the subtle and thoughtful arrangement of lines, shapes and props: the lines from the beams of sun point us along, the clutter of props arranged with lines that direct us to Ellie, and cracks in the window hint at the narrative and aesthetic reward awaiting them. Like the chink in the “Wall” during A Midsummer Night’s Dream, the player is teased with a reward on the other side. Then, Joel and the player turn a corner and into a doorway. We see a beautiful giraffe freely roaming the world without the walls of the zoo that once bound it. We are witnessing life, free and abundant. As the the player uses the prompt to touch the giraffe we can feel the change in both ourselves and the characters. The giraffe takes a moment and makes its way to the herd awaiting. Ellie turns to follow it and eagerly urges us to hurry and follow. As we follow her, we enter a darkly lit stairwell to a slightly cracked door. We open the door to a large reveal of abundant light and life—it is Spring. Using value, spatial and lighting contrast, the stairwell/doorway opening provides a great moment of compression and release upon the player. I will never forget this moment and the thoughtful design. I felt not only a connection to the characters but deep release within my own heart and mind. I remember crying freely at this point. In this final moment, a weight feels lifted. I believe because of this, Ellie feels reaffirmed of her goal to make it to the fireflies—she begins to hope again. Ellie reaffirms to Joel her choice to continue ahead no matter the danger. Ellie reminds us how incredibly fearless and selfless she is for the things and people she loves. This leads and prepares the player for the final trials before their ultimate goal. As we leave the bus station, the player has given space to breathe and scavenge for supplies in old, nearby triage stations. This is a nicely paced moment before the final combat encounter with the infected: the start to a series of goodbyes for both mechanics and enemy types. 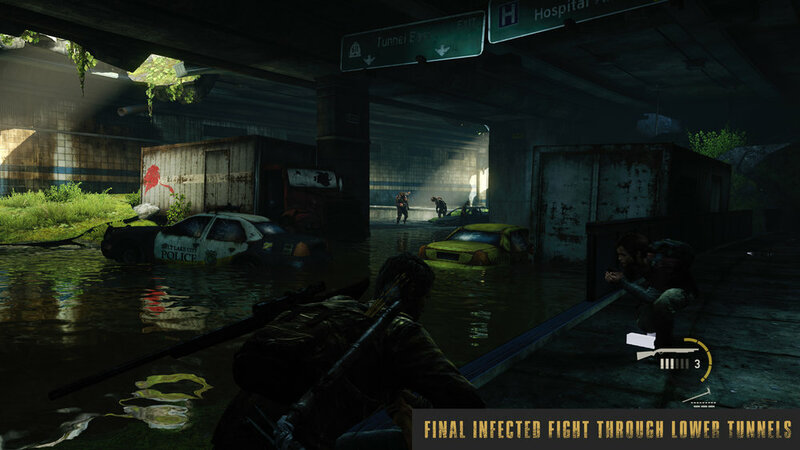 The designers thoughtfully place our fight with the infected first; fittingly leaving the interactions between the Fireflies and—more importantly—Joel and Ellie for last. 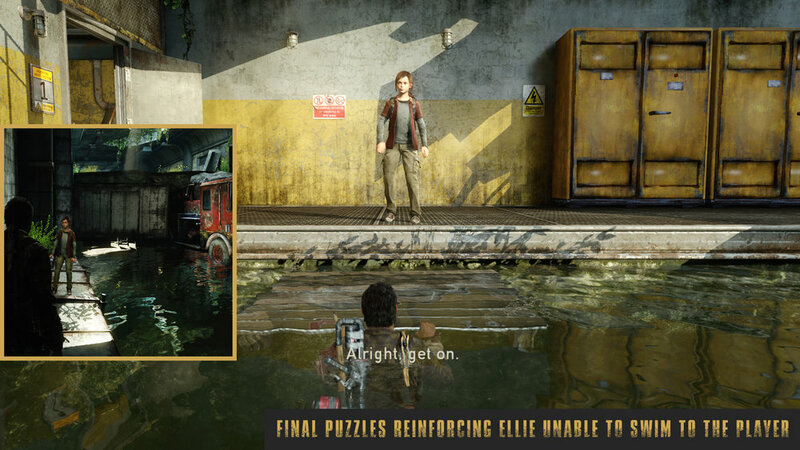 This appropriately turns the focus to both Ellie and Joel and their relationship as we work together on the final puzzles of the game. Through these final challenges, we are once again reminded of Ellie’s inability to swim and the danger water presents to her. 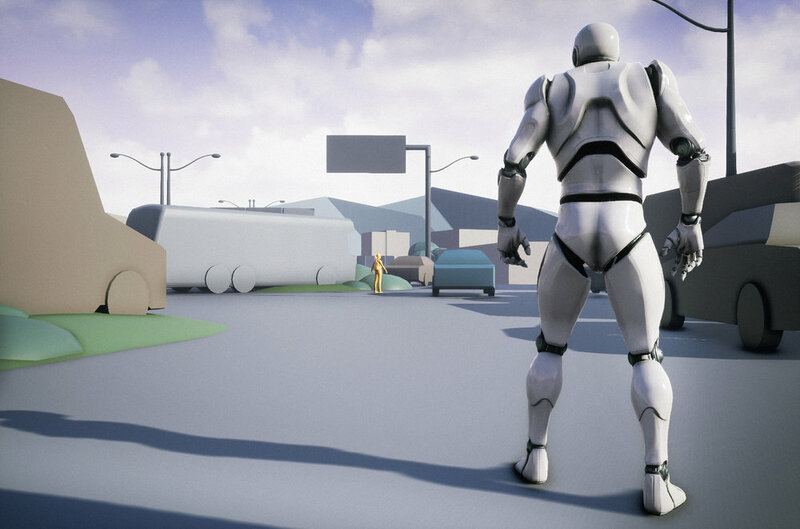 This is a carefully designed segment that again pairs narrative and mechanics to set up next crucial scene. 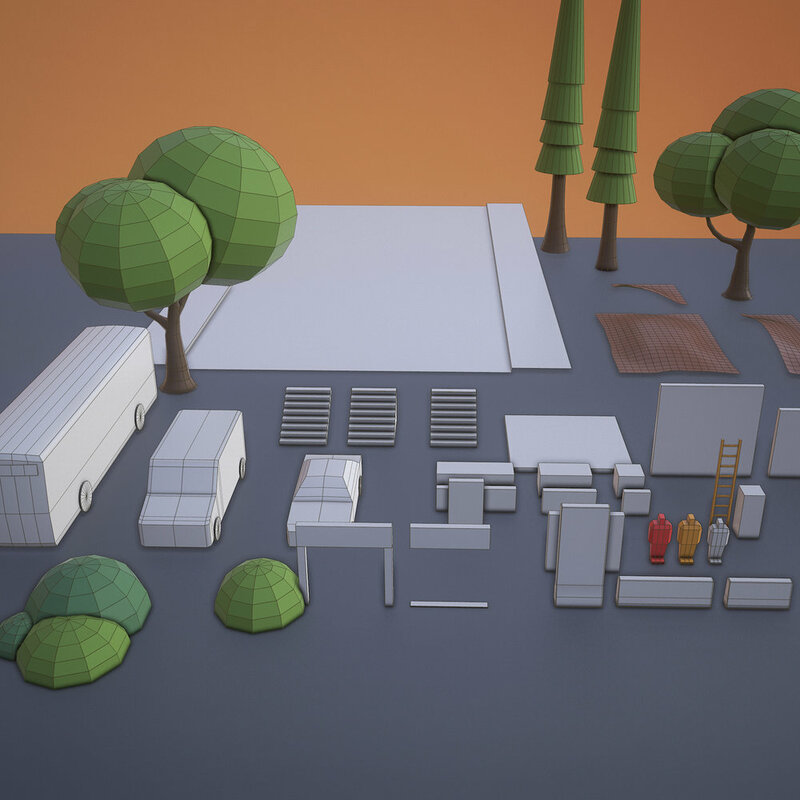 Peter Field breaking down the final puzzle design for the level. During a design lecture, Peter Field once spoke about a small but critical design element—the importance of the corridor leading up to a significant door. In the final segment of the hospital, the final door before the operating table is long and directed. This helps affirm to the player, unlike previous doors, that this must be the end. Over the recent holiday, I finished The Legend of Zelda Ocarina of Time to experience one of the examples Peter Field mentions in his lecture—the final stairway to Ganon. As we head into the end of both Spring and the game itself, I wanted to mention one last bit I absolutely loved—the ending sequence in the hospital. Not only is the escape with Ellie done “on the stick” but it mirrors beautifully the heartbreaking first scenes of the game. 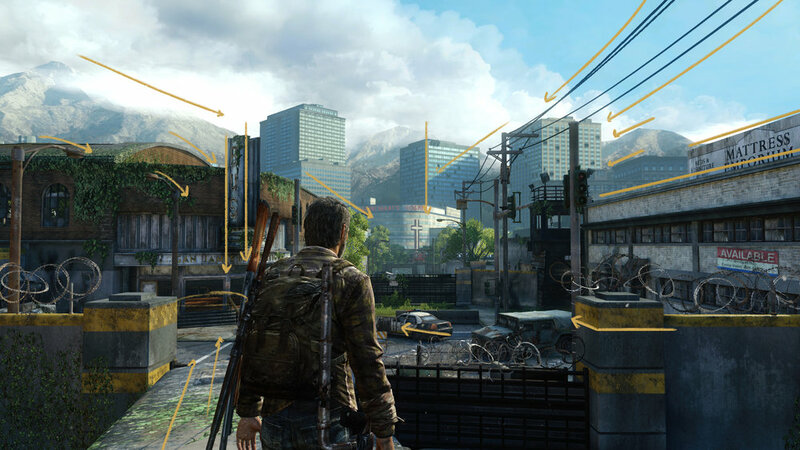 As shown below, the game contains so many moments where the team uses consistent imagery throughout. 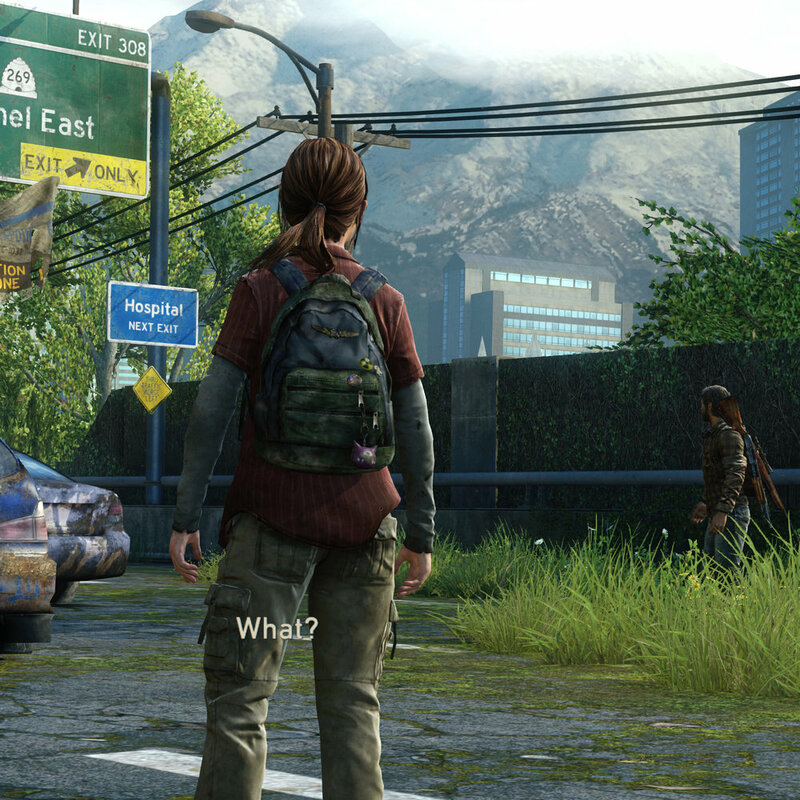 There is so much to learn when examining the thoughtfulness of games like The Last Of Us. 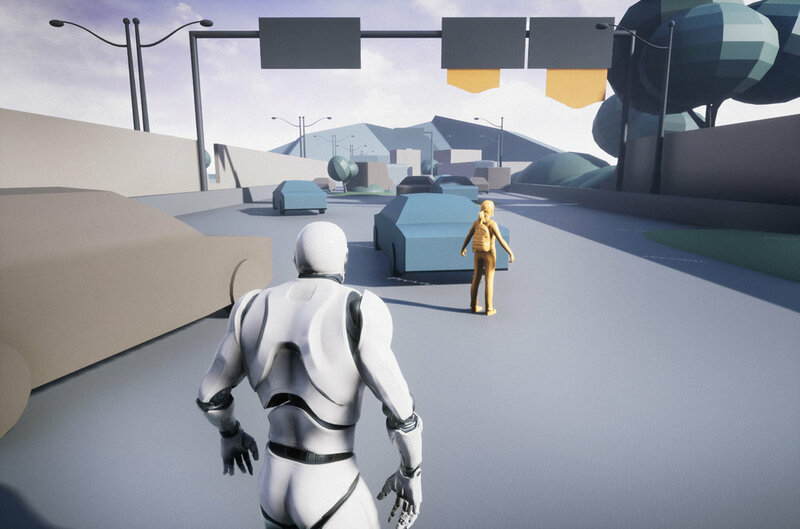 It becomes exciting to see in what other ways developers choose to pair player mechanics with story, and how it builds an even stronger connection between the player and the characters. With masterful synergy between all departments, we begin to feel as the characters do. Thank you for reading. All credit the team, past and present, at Naughty Dog. I hope to explore, study and recreate more of my favorite levels in 2019. And all the various podcast episodes, talks, and lectures from the creators of the Last of Us and Uncharted.